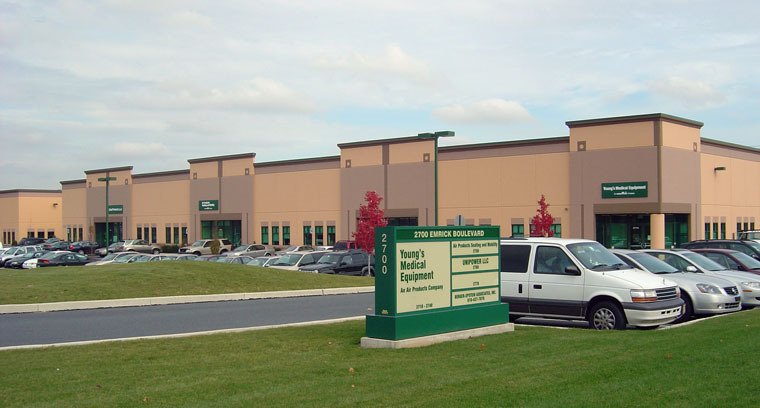 2700-2800 Emrick Boulevard, Bethlehem, PA – Berger-Epstein Associates, Inc.
2700-2800 Emrick Boulevard is located in Lehigh Valley Industrial Park VI (LVIP6 or LVIP-VI) in Bethlehem Township, in close proximity to the St. Luke’s Anderson Campus, Madison Farms‘ shops & apartments, just off the new RTE-33 corridor connecting RTE-22 and I-78, enabling fast access to and from the Lehigh Valley, the Poconos, New Jersey and New York. 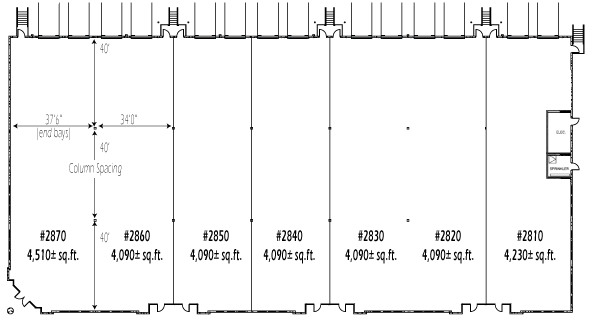 Each building is 29,490 SF, minimally divisible into 4,090 SF bays. 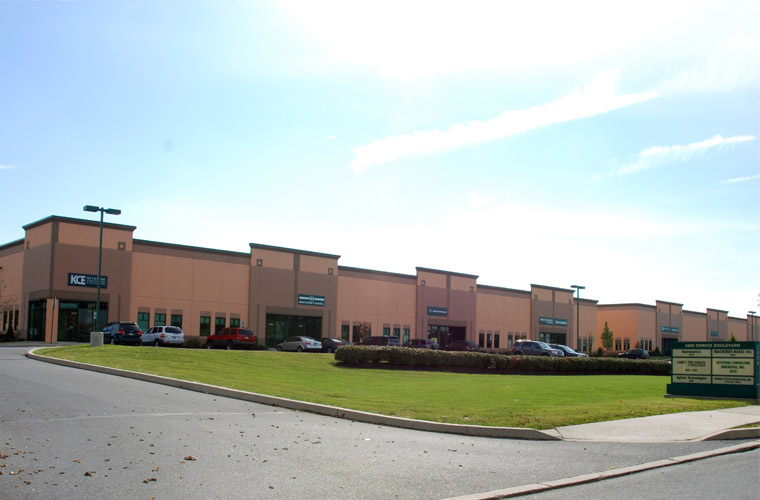 Each bay offers a storefront office entry (facing Emrick Boulevard) along with two dock doors (which can be converted to window walls) and a minimum of one man door (facing RTE-33) to the rear of the space. 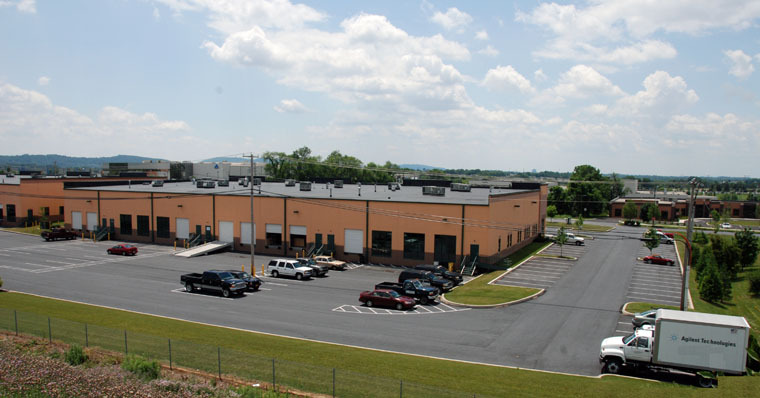 Utilities: Electric, Gas, Telephone and High Speed Internet are all available and separately metered. 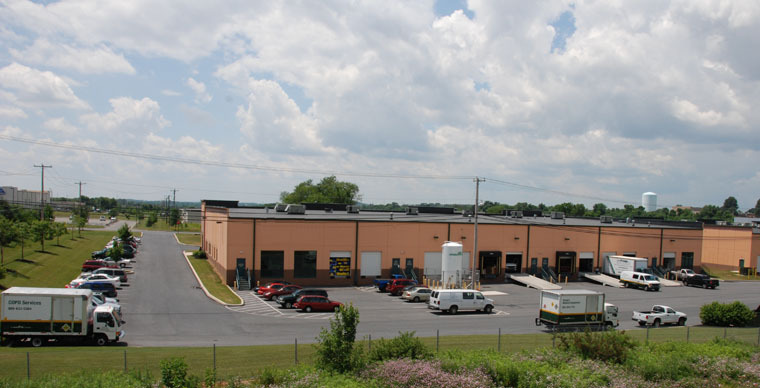 Location: On Emrick Boulevard Between William Penn Highway and Freemansburg Avenue in Lehigh Valley Industrial Park VI (LVIP VI). 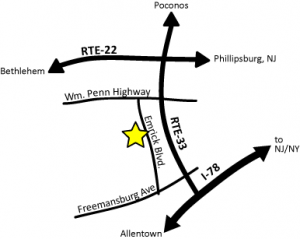 The buildings are within 1 mile of two entrances to the new Route 33 corridor with direct access to Interstates 78, 80 and Route 22 serving the Poconos, New Jersey and New York City.